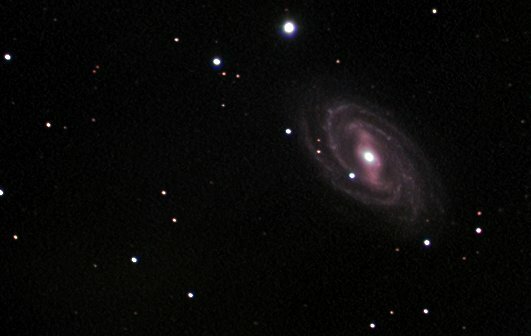 M109 is a beautiful face on dramatic double barred spiral galaxy in Ursa Major ( The Plough ) . Exposure 195 mins total , 261 x 45 sec unguided. Post-processing AA3, Dark framed,gradient removed, low pass smoothing. Lovely galaxy to image . 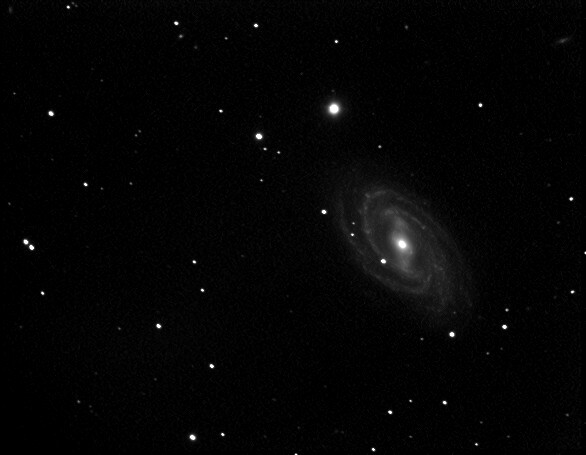 PGC 37621 is visible in the top right corner - small mag +16.8 spiral galaxy. Clear cool night ( <0° ) , next to no wind, no moon. Exposure LRGB : 195 : 59:59:59. Still not getting my rgb balances correct - improvements on the way .